Light line. Big fish. No Problem. 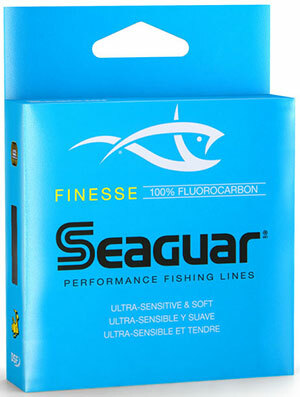 Exclusive double-structure process combines two custom Seaguar fluorocarbon resins to create a line with smaller diameters and exceptional knot and tensile strength. It's soft and supple with low memory, making it a great choice for finesse applications.